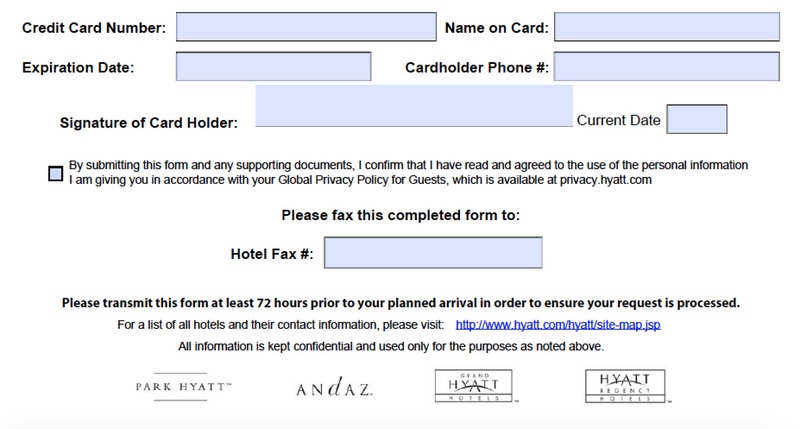 Download the Hyatt credit card authorization form in Adobe PDF to allow a guest to make a charge that will be paid by another individual or company. 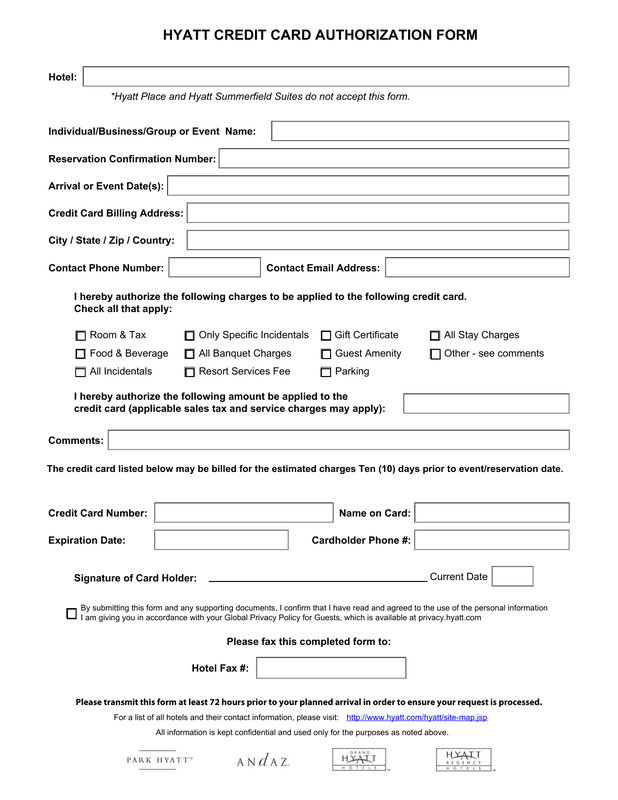 This form is usually faxed by the cardholder to the hotel front desk location and finalized at the time of checkout. The cardholder must precisely state what charges they will be paying for and sign the finalized amount at the bottom of the form. If the cardholder does not agree to any of the charges the guest will be responsible for the remaining amount. Step 1 – Download the form and begin filling in the following details: hotel name, individual/business/group/ or event name, reservation confirmation number, and the arrival or event date(s). Step 2 – Enter the credit card billing information such as the address, contact phone number, and contact email address. Step 3 – The charges that the cardholder will take responsibility for: room & tax, food & beverage, all incidentals, only specific incidentals, all banquet charges, resort services fee, gift certificate, guest amenity, parking, all stay charges, and any other described charges. Step 4 – Enter the credit card details such as the credit card number, the name on the card, expiration date, cardholder phone number, signature of the cardholder and the current date. 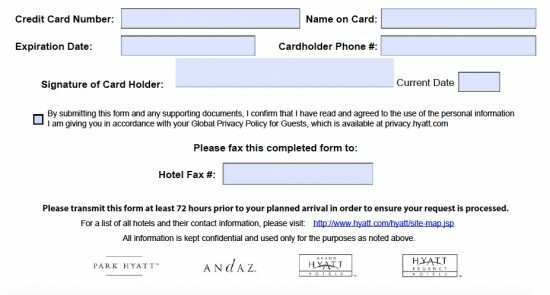 Click the disclaimer box and the cardholder will need to fax the document to the hotel’s location.